DUB SYNDICATE is probably the most "futuresized" roots dub band since ADRIAN SHERWOOD & drummer STYLE SCOTT (ROOTS RADICS) start collaborating in the late 70s. They produced a brace of great albums for On-U, a sort of genre crossover, but with definite reggae roots...! 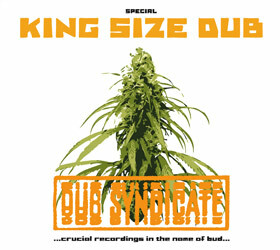 &apos;The KING SIZE DUB special &apos; is the ultimative relase&apos; for the ultimative price in the king size dub serie...! Dub Syndicate presenting two brand new tracks, remixes (DJ Scruff and Ruts DC) and megamixes, special vocal contributions by Lee Scratch Perry, Bim Sherman, Big Youth a.o., three tracks megamixed and overdubbed by ROB SMITH (of SMITH & MIGHTY) — all completely remastered. The album is a must have for any serious Dub Syndicate fan and any KING SIZE DUB and Reggae collection — it&apos;s the perfect tool to bridge the time until the new studio album scheduled for early summer 2013 is released. Featured vocals incl. Big Youth, Junior Reid, Capleton, Dubiterian, Bim Sherman, Lee Scratch Perry. Remixes by DJ Scruff, Ruts DC and overdubbed versions by Rob Smith. 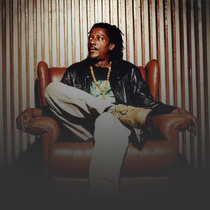 Dub Syndicate, centered around Style Scott, who is usually accompanied by Alon Adiri, Vince Black, Bubbler and Chris Meredith will come to EUROPE 2012 for a couple of Shows.